They are different; they are afraid of death, scared of snakes. Maybe I’m no human. Then how can snakes raise no fear within me? How can I go standing alone all day long like a tree? How can I sing no song watching a movie? How can I go without drinking wine with ice? How can I pass a night without closing my eyes? I’d get warmed in the embrace of my wife at night. When I see the sky empty like my heart? The way prisms refract light. I’d have fear of accidents or a sudden death. I could not pass a night without you. I approach them, embrace them. Secular humanists and LGBT activists and publishers continue to be persecuted in Bangladesh for their free speech. 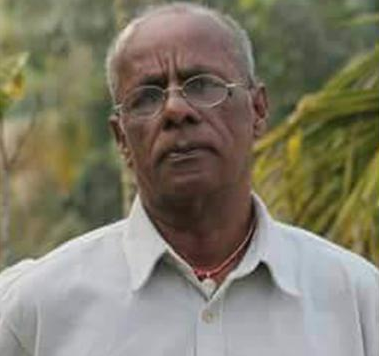 On June 11th, 2018, Bengali poet and free thinker, Shahzahan Bachchu, was shot dead in Munshiganj district, at Kakaldi, near Dhaka. 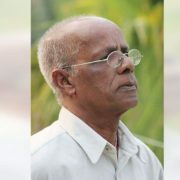 Shahzahan was a political activist, a former general secretary of the Munshiganj district unit of the Community party, an outspoken secularist, a published poet and a writer of books on humanism. He is also the founder of the Bishaka Prakashani (Star Publishers) publishing house, which specialises in poetry. Shahzahan was sitting at a tea stall in Kakaldi, his home village, when four men on motorcycles rushed at him. He was killed immediately. Shahzahan was previously at risk, living in hiding after receiving death threats from militants and fanatics, through phone calls and messages. Since 2013, dozens of others, like Shahzahan, have been targeted and killed by Islamist extremists, for their secular non-Muslim views. The government has been slow to respond or condemn this violence. Since 2015, the reported murders and attacks for secular views have included the deaths of Avijit Roy, Washiqur Rahman, Ananto Bijoy Das, and Niloy Neel (friend of Shahzahan, who was murdered just days before him). Government officials, including the prime minister, Sheikh Hasina, blame these attacks on the victims themselves, for their criticism of religion. Secularists are held by the government under the Information and Communication Technology (ICT) Act, which has recently been expanded upon – and allegedly has been misused – for the criminal prosecution of ‘blasphemous speech’ that ‘hurts religious sentiments,’ as well as for any criticisms that are made against governmental actions or policies.